We offer quality fence replacement to ensure that your property maintains the protection it needs. Call us today and find out more! When you are ready to improve your property, choose experienced professionals to help you. We are an experienced fence and deck company offering installation, repairs and replacements. We work with all types of fencing materials including vinyl, wood, chain link and even iron. 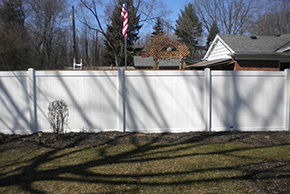 Fencing adds visual appeal to any property even while making it safer. Whether you want a new vinyl privacy fence to protect the kids while they play or you need a strong chain link security fence to surround your business, we are here to help you. Call us today to learn more about our services and see how we can improve your property with fencing.